A simple puzzle game about making various jams. Use the arrow keys to move around, press X to pick stuff up and put it down. 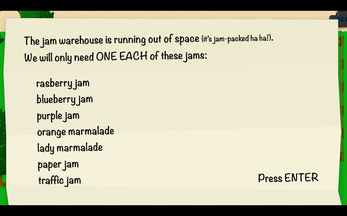 Put stuff in the jam-o-matics to make jam and then put the jars on the conveyor belt to ship them. 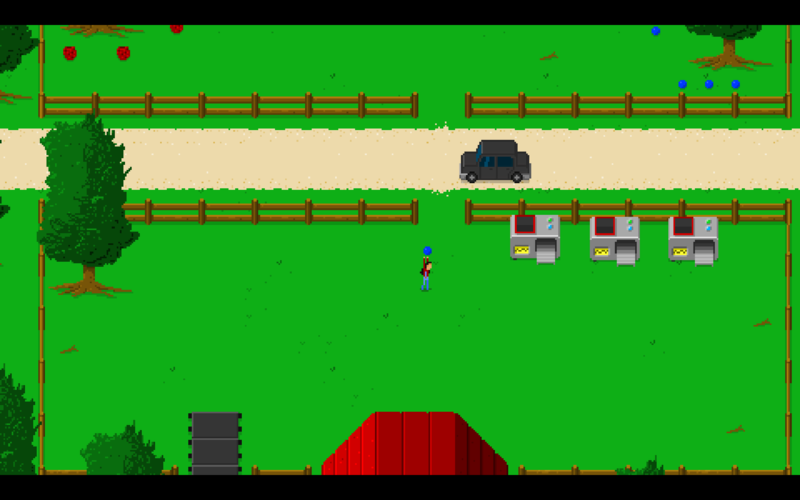 This game was made for Ludum Dare 42 (the theme was 'running out of space'). I ended up running out of time for a bunch of things (including *any* sounds/music) but I'll add them in after the competition. If you drop a jam on the side of the conveyor belt the game crashes. 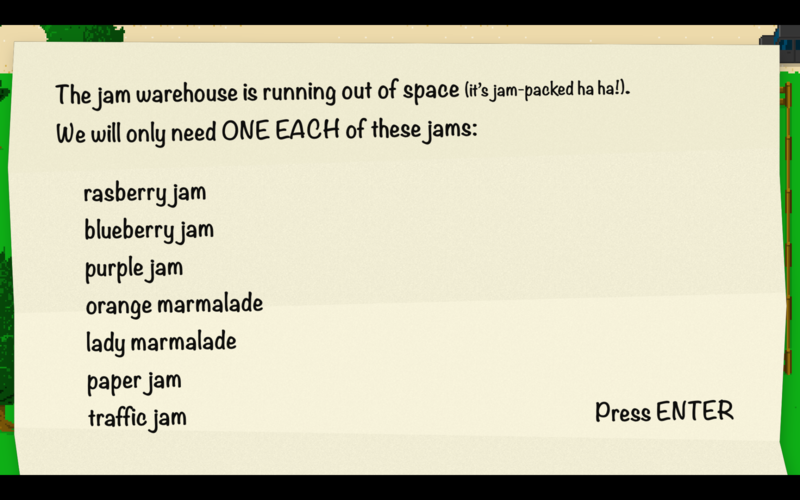 For now, it's best to drop your jams from above the conveyor belt.